If you’re keen on consuming video and images on your smartphone, Huawei’s latest model in its Honor sub-brand, the Honor Note 8, might be just the device for you. Its 6.6″ Super AMOLED display is one of the largest in the phablet segment and decidedly blurs the line between smartphone and tablet. With its Quad-HD resolution it offers a pixel density of 443 ppi. Unlike the standard Honor 8 model, the Note variant does not come with a dual-camera setup. Instead, the Honor combines a 13MP image sensor with a fast F2.0 aperture, optical image stabilization and a dual-LED flash. Video is recorded at 1080p Full HD resolution and an 8MP front camera is available for selfie-shooting and video calls. 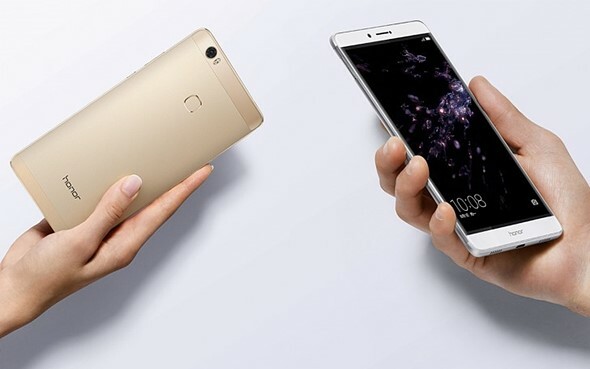 The Android 6 operating system is powered by Huawei’s in-house Kirin 955 chipset with octa-core CPU and 4GB of RAM. You can pick from 32, 64 or 128GB of storage options and expand capacity via a microSD card. The Note 8’s 4,500mAh battery should provide enough power to keep the large screen and other components running all day. The Honor Note 8 can be pre-ordered in China today for approximately $345 for the 32GB base model, $375 for the 64GB version and $420 for the 128GB top-end variant. There is no word on global availability yet but we would expect the Note 8 to become available in other regions soon.